Here at 911 Restoration, we’re all about providing a Fresh Start. While this usually means restoring a family’s home to pristine condition so that it looks and feels even better than before, we’re always looking for new ways to extend our Fresh Start attitude further into the local community we serve. 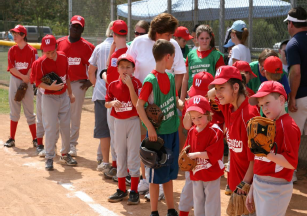 That’s when we discovered Take On Sports, a sports program for the special needs community. Take On Sports enables both children and adults with physical or mental disabilities the opportunity to participate in the same sorts of activities and sports as their peers. Thanks to the help of local business owners like Tim Crane, Take on Sports has succeeded in creating a safe and fun learning environment for those with disabilities since 2007 and is adding new activities every month. We can’t imagine a better match for our Fresh Start attitude. While Take on Sports continues to provide the local community with a fresh take on sports, 911 Restoration focuses on offering its citizens the fresh start they deserve, beginning with their home. For more information on Take on Sports, visit their website at www.takeonsports.org.